Most people care about their potential futures. But there’s a threat to some of these possible futures. In 2016, globally we experienced the hottest consecutive year on record since 2000, with 2017 looking to break the record again. At the current rate of warming climates, along with other environmental concerns, living on the Earth will become more difficult, if not impossible, by the end of the century. Scientists have predicted humans only have 60 more harvests, or years of growing enough food to sustain people on the planet, if soil continues to erode. It’s undeniable that climate change remains one of the greatest hazards to human and nonhuman existence. But it’s only one of the many effects of ecological degradation – with others including deforestation, ocean acidification, species extinction, and air pollution – over the past 250 years during the age of industrialization. This period is increasingly referred to as the Anthropocene – or the age of humans. The question remains: how do we alter this seemingly apocalyptic direction forward? Perhaps it’s more productive to ask: how can we imagine and create sustainable ecological futures? As the cognitive linguist and political strategist George Lakoff maintains, change comes from reframing the debate from one of reason and logic to one based upon values. How, then, might we influence the values of societies to prioritize sustainable ways of living? How would climate deniers overcome entrenched belief systems to accept the necessity of taking climate action? 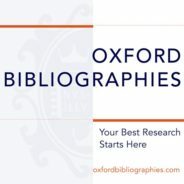 More specifically to this blog post, how can literary culture – which builds upon human values and perception – help imagine those futures, and be part of this change? Literary culture and critical theories have a long history of responding to political and social issues. Ecocriticism emerged in the 1970s as a reaction to the larger environmental crisis. It originated as an idea called “literary ecology” by Joseph Meeker in 1972, and was later labelled “ecocriticism” by William Rueckert in 1978. The aim was to establish a critical way of examining ecological issues connected to representations of them in literature and culture. By the early 1990s, ecocriticism had developed as a popular literary and cultural theory with the formation of the Association for the Study of Literature and Environment (ASLE) at the Western Literary Association in 1992, followed by the launch in 1993 of the flagship journal ISLE: Interdisciplinary Studies in Literature and Environment and the edited volume The Ecocriticism Reader in 1996. Ecocriticism has since become one of the most widely recognized and applied literary and critical theories, largely because of the existential environmental crises increasing by the day that it seeks to examine and confront. Engraving by Gustave Doré from 1876 edition of The Rime of the Ancient Mariner by Samuel Taylor Coleridge. Sourced from University of Adelaide. Public domain via Wikimedia Commons. Much like other socially relevant literary and critical approaches, such as postcolonial, gender, or Marxist studies, ecocriticism continues to grow and be shaped by current events. It unfolds in the present as much as it can be applied historically in scope and scale. 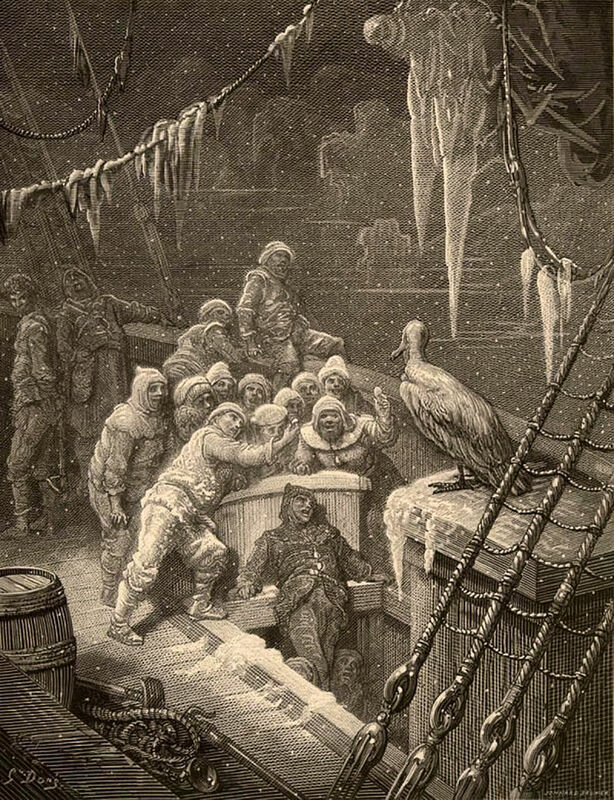 For example, the understanding of the nonhuman (i.e., albatross, weather, and the ocean) in Samuel Taylor Coleridge’s long poem The Rime of the Ancient Mariner (1798) is as important as the links among patriarchy, class, and ecology in Margaret Atwood’s novel The Handmaid’s Tale (1985) and the contemporary television series adapted to it. At its core, the focus of ecocriticism has remained consistent: to recognize and confront ecological concerns through literature and culture. Over the last decade, environmental thinking has expanded vastly, paralleling the social and biophysical ruptures across the Earth. In response to these rapid changes, ecocritics have developed new ways of understanding and responding to literature and culture that draw on both imaginative and real circumstances of the Earth’s ecologies. Reframing how we think about the environment or “nature” is not a simple process; new systems of thought, definition, and practice must be established in order to change how people value them. Dismantling anthropocentric (human-centered) ways of viewing and being in the world is a fundamental part of this shift. Biocentric (Earth-centered) ways of viewing the world, for instance, consider humans as a part of the Earth, interconnected organisms as part of the whole, rather than being in control. Literature and culture provide language and narrative to express how ecological damage effects humans and nonhumans (e.g., animals, flora, other organisms), as well as the biophysical structures of the Earth. Ecocriticism ultimately affords critics, students, activists, writers, and global citizens a way to express these concerns both inside and outside of the academy and throughout our everyday lives. There are many novels, short stories, plays, poems, or memoirs that have affected how people might perceive and value the environment. For me, the initial switch happened years ago in high school when a friend gave me a copy of John Steinbeck’s Cannery Row (1945). The novel has a protagonist named Doc, who is a marine biologist; it showcases the ecologies of coastal marine life in Monterey Bay, California, off of the Pacific Ocean. After reading Cannery Row, I could no longer perceive of life on Earth as anything but interconnected. My takeaway from the novel, and other literary works like it such as Alice Oswald’s contemporary long poem Dart (2002) or George Eliot’s Victorian novel The Mill on the Floss (1860), is always the same. Organisms, including but not exclusive to humans, depend upon each other for survival. This understanding of our interconnected ecological futures (involving the past) is now part of my value system because of literature and culture. What literature has changed your values about our environmental futures? Featured image credit: Smoke Coming Out of Pipe. Public Domain via Pexels.